The Mayanot Institute of Jewish Studies recently celebrated the miraculous victory of the Six Day War and the renaissance of Jewish education that has flourished in the Jewish people’s eternal capital ever since its reunification, in a special Jerusalem Jubilee evening on Sunday, June 18. 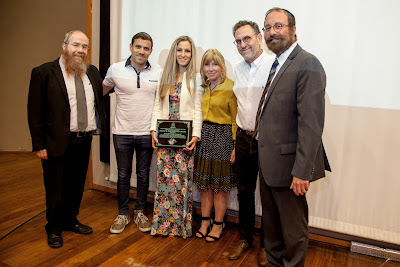 Held at the Menachem Begin Center in Jerusalem, the co-founders of Mayanot, Rabbi Shlomo Gestetner and Rabbi Kasriel Shemtov honored some special supporters of Mayanot’s educational programs, which have impacted thousands of young Jews around the world. Mayanot offers annual semester, winter and summer as well as post Birthright Israel study programs for women and men age 20 and over no matter their background in Jewish studies. 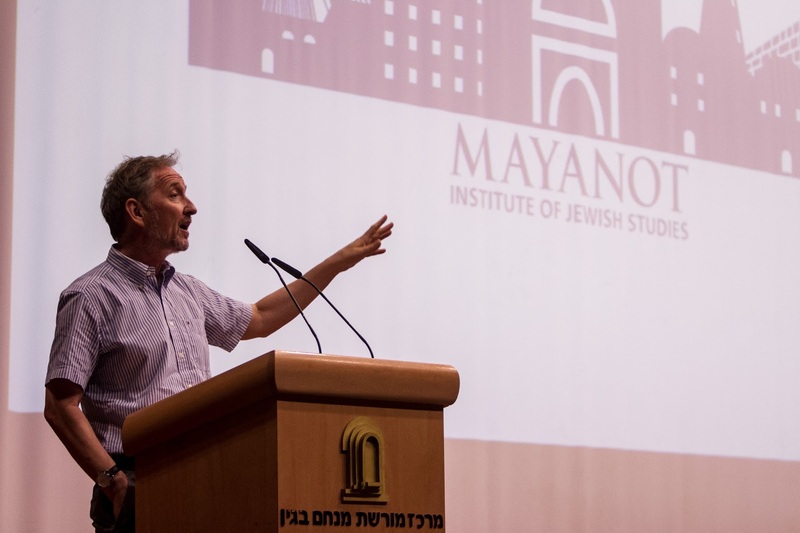 David Horovitz, the founding editor of The Times of Israel, who previously worked at the Jerusalem Post and Jerusalem Report, delivered the keynote address at the Jerusalem Jubilee. Mr. Horovitz discussed what it meant for him and his family to come to Israel. 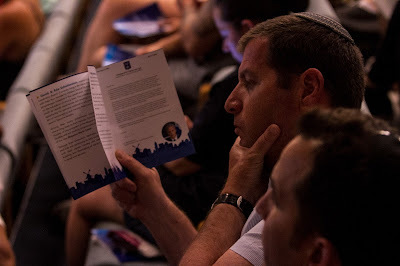 He illustrated what it is like being a part of this great nation, with all its challenges and successes, “when for the first time in 2000 years the Jewish nation got their country back, how can you not want to be a part of it”. 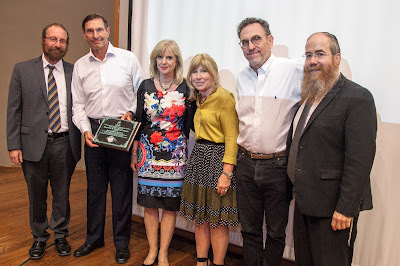 Honorees of the evening included Martin and Melanie Glatt who were the recipients of the Jerusalem Award for their work in enhancing the Jewish experience at the Western Wall through the Kotel Foundation and as dedicated partners in the educational work of Mayanot as well as their leadership of the Jewish Interactive. Benjamin and Susan Shapell were the recipients of the Aliyah Award for their support of Jewish education and programs that improve life in Israel. 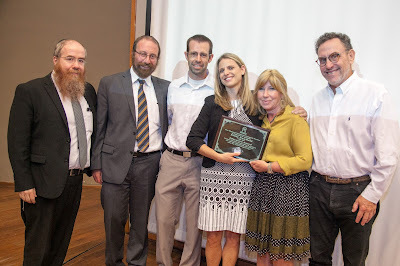 Nicky Newfield, a passionate Jewish educator and founder of the educational technology production house, Jewish Interactive, was the recipient of the Education Award for her pioneering work in Ed-tech. 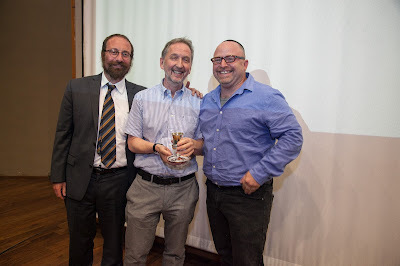 “I don’t feel I deserve any kind of award. 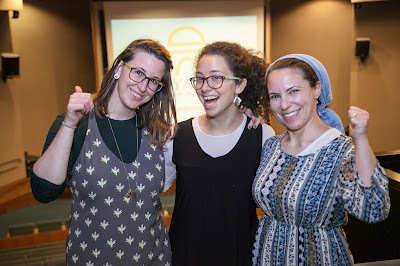 Twenty years ago, I went to the Gestetners’ home for Shabbat, and they have been role models for me ever since then. 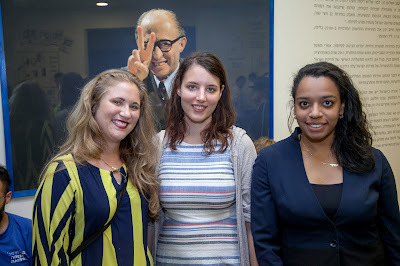 Their home truly inspired me,” said Newfield, who made aliyah from South Africa with her family, four years ago. David and Eda Schottenstein of Florida, were honored for their philanthropic projects including their support of the new Mayanot World Center and were the Recipients of the Leadership Award. 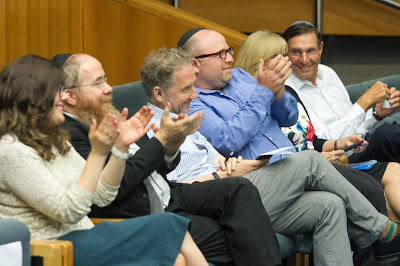 One particular spiritual domino effect that Rabbi Shemtov highlighted during the evening was The World Tefillin Campaign that began 50 years ago in response to the imminent danger facing the State of Israel before the outbreak of the Six Day War. 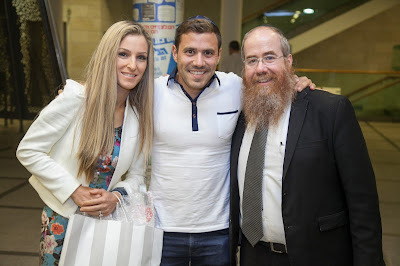 The Lubavitcher Rebbe, Rabbi Menachem Mendel Schneerson, initiated a campaign to encourage Jewish men and especially IDF soldiers to put on tefillin, as a mitzvah to provide spiritual protection. 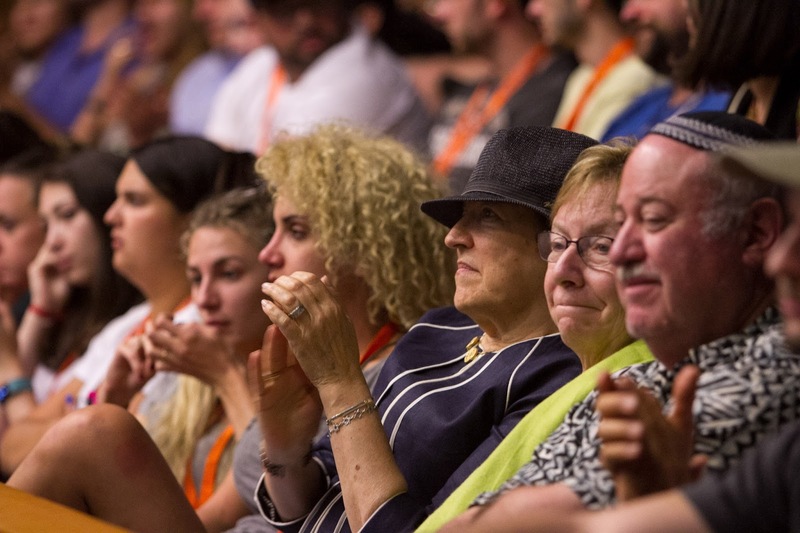 When Israel had liberated the Old City and the Western Wall, the Rebbe immediately sent a telegram to set up a stand by the Kotel where any Jew could put on tefillin. 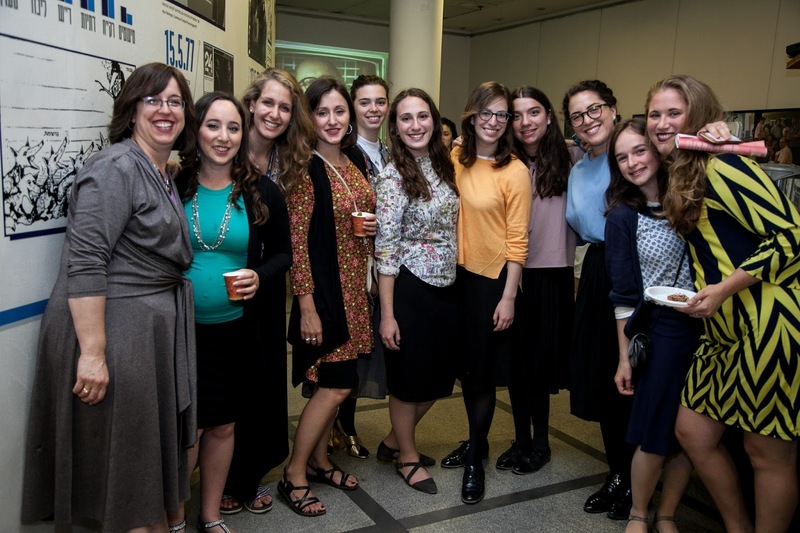 Fifty years following the Six Day War, the Tefillin Campaign is still alive and strong. 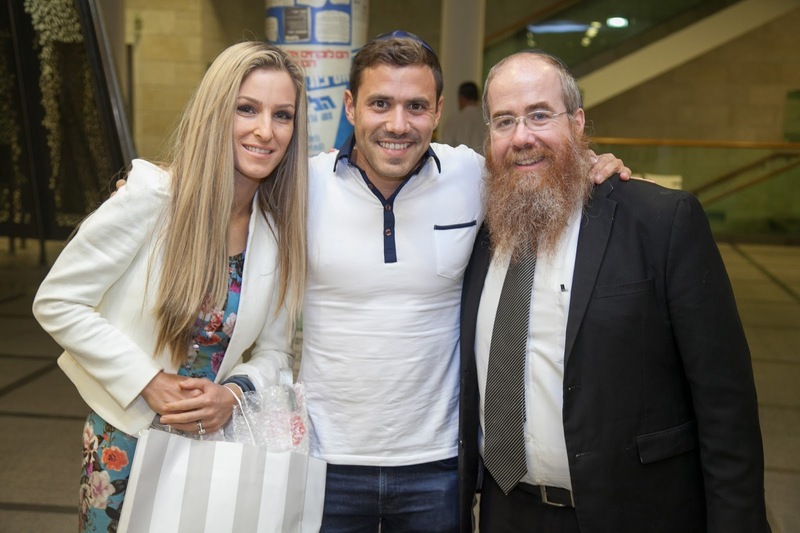 Martin Glatt initiated and sponsored, in partnership with Mayanot and Chabad at the Kotel, a new and improved Tefillin brochure to be used by the Western Wall. 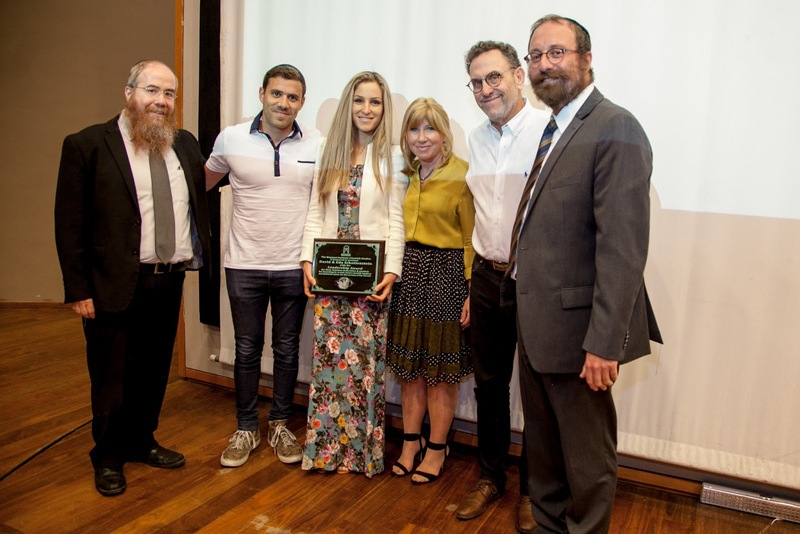 This was in honor of the 50th year anniversary of the World Tefillin Campaign and the liberation of the kotel, and every guest was gifted a copy. Both Jerusalem mayor Nir Barkat and Deputy Minister in the Prime Minister’s Office, Dr. Michael Oren, acknowledged the important work of Mayanot in letters shared in the event journals given out during the evening. “Mayanot has contributed to the renaissance in Jerusalem through their Jewish Studies programs, their thriving synagogue, and their leadership in bringing thousands of students to Israel through Birthright Israel,” wrote Mayor Barkat. 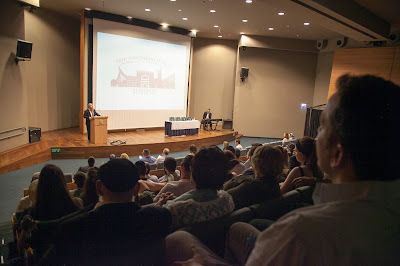 Guests were honored by a special video presentation of Mayanot alumni impacting society and Israel. The presentation focused on Etan Efrati’s work at OurCrowd an Israeli Start Up, Eugene Kontorovitch’s work as Director of The Kohelet Policy Forum, Esther Fuerster’s work at the Ministry of Justice, Tzvi Maller’s work as co-owner of Crave gourmet street food in Jerusalem, and Danny Sack’s work as Director of the Mayanot Birthright Israel division. 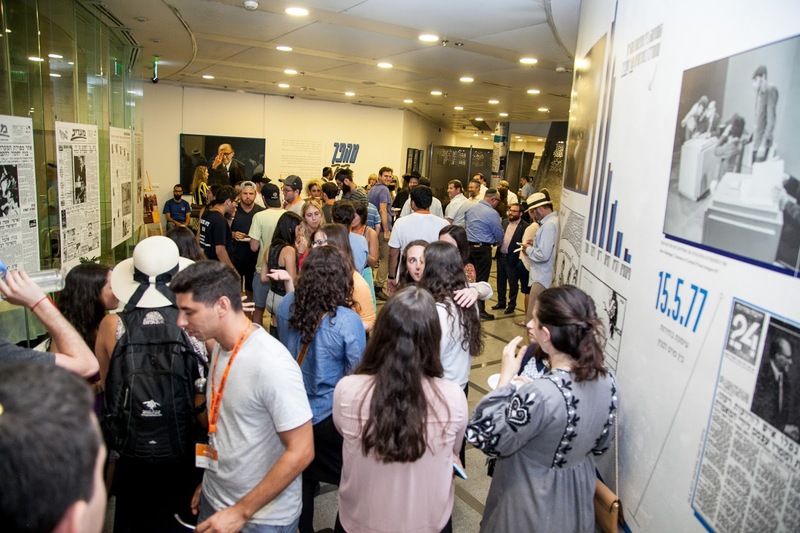 One audience member, Scott Spiegel, 23, of Miami, who was visiting as part of a Birthright Israel: Mayanot trip, said that his first visit to Israel had been amazing. To view the live stream of the keynote address, click here.